After hearing of a comic storyline cut from Captain America: Civil War yesterday, more cut scenes and bits of dialogue have been revealed and this time they are to do with Black Widow. 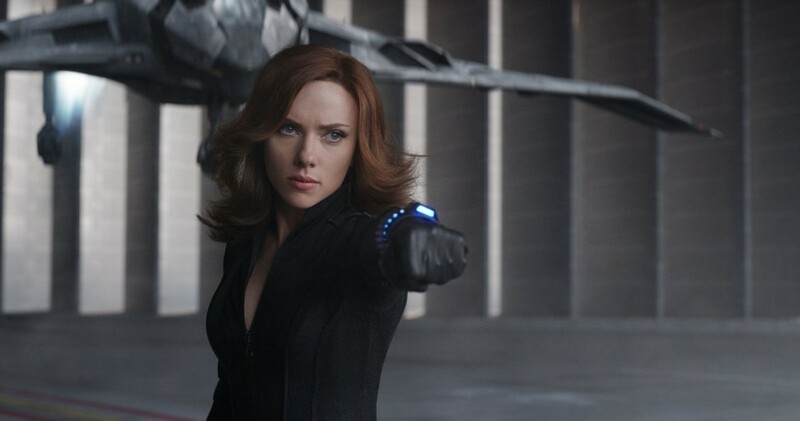 The cut bit of dialogue was revealed in the film’s novelization, and was between Steve Rogers and Natasha Romanoff. The novelization doesn’t directly point towards what scene the conversation would have taken place in, but speculation has it that this took place during Agent Carter’s funeral. In the film Romanoff shows up after the funeral and exchanges some brief words with cap, and this extra bit of dialogue would likely have stretched out that conversation. This dialogue hints further at the Black Widow backstory we got in Avengers: Age of Ultron, and demonstrates how harsh Romanoff’s upbringing was. The conversation also works well in the context of the film, as Romanoff draws a parallel between friends being forced to turn against each other both then and now. With the lines serving a purpose of not only fleshing out Black Widow’s backstory, but also the context of the film one can only wonder as to why it was removed from the final cut of the film- potentially being saved for a solo film? I don’t think there is an appropriate parallel between that scenario and the Civil War movie. Maybe that was from an older script in which it would have been a better fit. I’m glad that wasn’t in the final cut. *Gasp* They edited scenes from the film!! Poor EDITING!! I don’t think anywhere in the article does the author allude to poor editing. Nor anyone else in the comment section. Scenes will be cut, it always happens. This article, and the cap one where you left a similar comment are just talking about what may have been. Just addressing the cognitive dissonance. Of course the article doesn’t mention poor editing, because that’s not the spin the media is doing with these Marvel films like Silly War. And yes, all films will have scenes cut. ALL films. But one film will be labeled as poorly edited, while another just gets over looked as–how did you put it? “What may have been”. Never mind the fact that I’ve seen several editing issues in Silly War myself. LOL! Playing the victim again? Have you read the Black Widow comics of recent? Lots of modern day espionage, action, and adventure, cut with some serious moments via flashbacks. Those books make me excited for the prospect of a Black Widow movie. I really would like to see a Black Widow origins story on film. It would have its own Battle Royale (the Japanese movie) segment.